Last Sunday was Father’s Day. To be honest, I’m not really a fan of these days..It’s not me to come downstairs after waking up and wish my dad Happy Father’s Day. I would say that I’m more of an action person. So to start the day off, my family (including Amanda) went to dim sum. I treated and surprisingly my dad let me (he usually doesn’t encourage me paying the bill as I haven’t found a full time job yet). We then went for groceries and blah blah..I know, THIS IS A FOOD BLOG, I’m getting there. 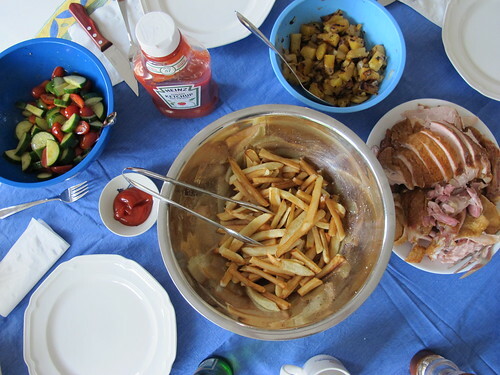 For dinner, we had a Butterball smoked turkey, home-made fries (deep fried), tomato and cucumber salad and pineapple salad. For dessert, Amanda got chocolate cake from Noisette. They have pastries, cakes and all the desserts you can think of. And I was amazed at the prices. Not bad for a bakery thats kinda fancy. 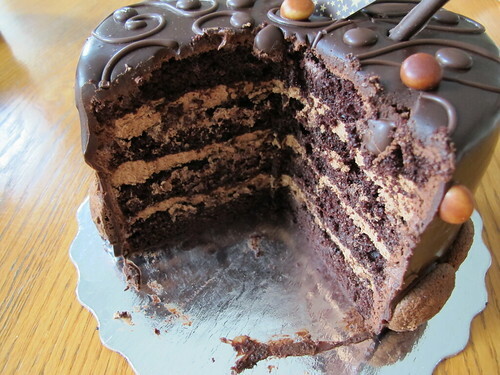 This cake wasn’t too sweet and I didn’t find it heavy. 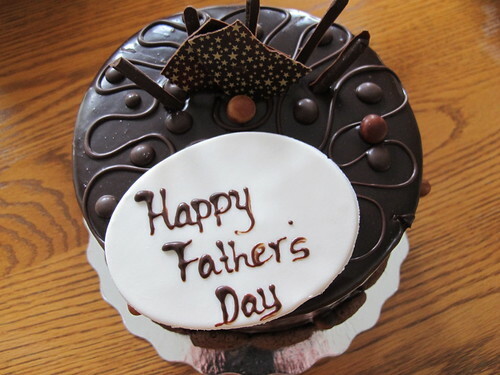 I hoped everyone had a lovely Father’s Day and if you don’t celebrate Father’s Day, I hope you had an awesome Sunday ! P.S. Follow me on Twitter here.